Awesome podcast. Very informative! Every angler should give it a listen. Subjects discussed…the heavy breathing of Tators, the English/Canadian/American Bulldog that doesn’t like history. U.S. Army Corps of Engineers, West Point Lake, the town of West Point, Algal Blooms, Henry Jackson definitely doesn’t advocate in support of hydrilla, dealing with trash in waterways, and more! Guests: Henry Jacobs, Outreach Coordinator, Chattahoochee Riverkeeper Links: Southern Water Southern Power on Amazon River Song on Amazon Riverkeeper Guide to the Chattahoochee on Amazon Captains for Clean Water Website Support this project: To donate to CRC in support of this project, click here. CRC Executive Director Henry Jackson sits down with Chris Funk (Professional Outdoor Photographer) to discuss Outdoor Photography for people of all skill levels. If you're interested in capturing the beautiful scenery of the Chattahoochee River, this episode is for you! The first episode in our series exploring the removal of dams from rivers and tributaries, Executive Director Henry Jackson and Programs Director Sanna Moravek talk with Justin Krieg of Historic Columbus. Topics discussed...the importance of historical preservation, American Rivers, why we as a nation like old things, the history of mill dams, Henry's disappointment in exploding dams, how to live in a historic mill building, and more! Links: American Rivers Document is here. American Rivers Website is here. Historic Columbus Website is here. Support this Project: To donate to CRC in support of this project, click here. 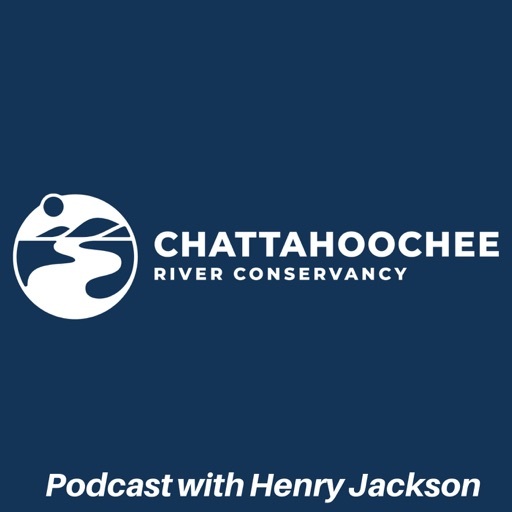 Henry Jackson sits down with Brent Hess of Georgia Department of Natural Resources and is joined by Henry Jacobs and Hannah Bradford of Chattahoochee Riverkeeper. Topics discussed include...the two Henry's, the two (generalized) views of the Chattahoochee River, legacy pollution, and eating fish from the Chattahoochee River. Georgia DNR's Fish Consumption Guidelines can be found here. Chattahoochee River Conservancy's website is here. To donate to support this program and CRC's other projects, click here. For more information on Flint Riverkeeper, click here. For more information on the ACF Stakeholders, click here. To support this project and Chattahoochee River Conservancy, click here. Recorded at Auburn University Fisheries - Host Henry Jackson talks with Dr. Steve Sammons, Amy Cottrell, and Chad Hoffman about the threats facing the native fish of the Apalachicola-Chattahoochee-Flint River Basin and the work being done to ensure these species are preserved. Become a member of Chattahoochee River Conservancy and donate to the restoration of native fish species here. © 2019 OwlTail All rights reserved. OwlTail only owns the podcast episode rankings. Copyright of underlying podcast content is owned by the publisher, not OwlTail. Audio is streamed directly from chattriverpodcast servers. Downloads goes directly to publisher.